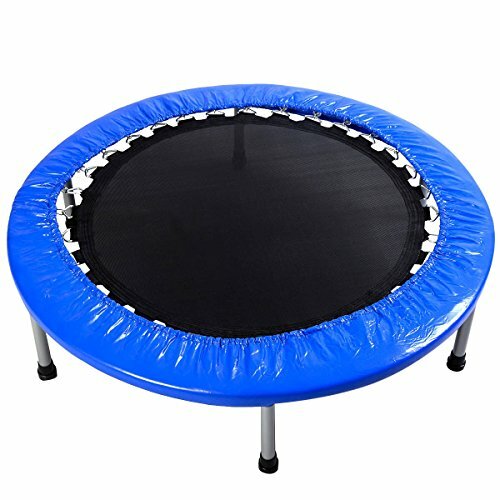 This 38''Foldable Mini Band Trampoline provides more convenience and fun to bounce your way to fitness. The elasticity organization can reduce the risk of dangerous metal springs and meets a high intensity, low impact workout and indoor activity also. It comes with thickly padded cover for its no-pinch springs and large rubber feet for stability. It also has a rust-resistance frame. What's more, the foldable design is convenient for storage and maintenance. High Quality with competitive price can be realized here. Welcome! If you have any questions about this product by XT, contact us by completing and submitting the form below. If you are looking for a specif part number, please include it with your message.